After a check is cashed, an image of the front and back of the check will appear on the Payment Details page. The check images are displayed in the check section of the payment summary screen. 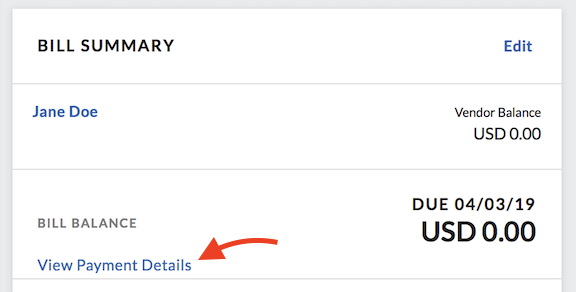 The payment record(s) of a specific bill are also accessible from the bill itself by clicking View Payment Details in the Bill Summary box, if the status of the bill is scheduled, partially paid, or paid.